They say you never forget your first time. And when it comes to Fortnum and Mason, they’d be right. It's a national icon, a British institution, the finest grocer of them all. Fortnum & Mason is a store that has fuelled the tide of British history, fed the appetites of kings and queens, maharajahs and czars, emperors, dukes and divas alike for more than 300 years. Fortnum & Mason is a constantly evolving, hugely successful modern enterprise, one that respects its magnificent history while looking forward into the 21st century. The first Fortnum & Mason's cook book does the same, appealing to the modern reader and cook, whilst never forgetting the past. 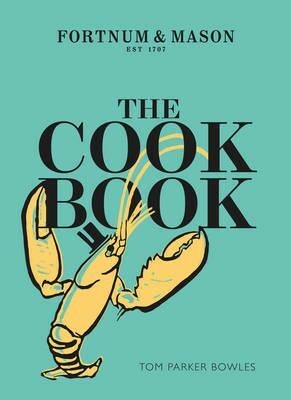 Including classic British dishes like grilled kippers with parsley butter, the perfect boiled egg and soldiers and porridge alongside modern twists on dinners, desserts, canapes and cocktails developed by chef Tom Parker Bowles. It’s not often you can claim to be testing the picnic food sampled by Charles Dickens or the breakfast of Edward the VIII on the brink of abdication.